San Diego Padres Exploring Trade Options with Tampa Bay Rays? It is no secret that A.J. Preller is a mover and shaker. Like Kevin Towers, the recently passed former general manager of the team, he has a great propensity to be a gunslinger. 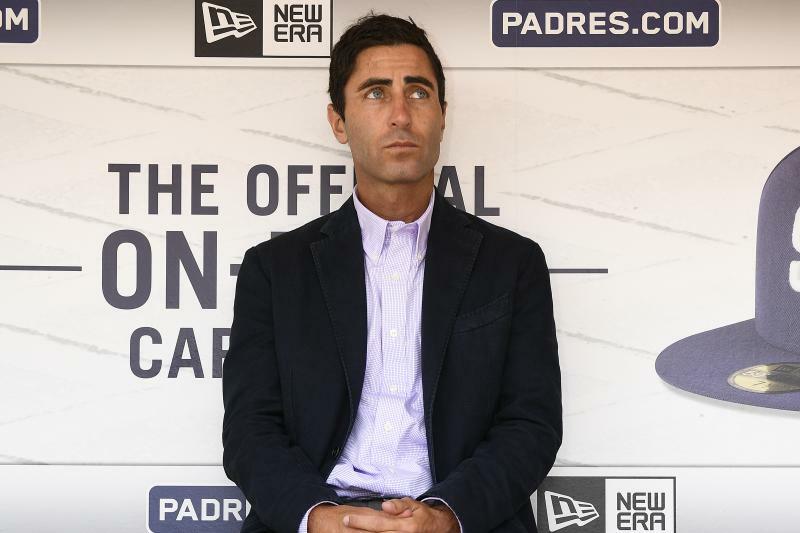 When it comes to making a trade, the young Preller has shown the ability to constantly pull the trigger without hesitation. Earlier this week, Jim Duquette spoke on ESPN Radio about the San Diego Padres. He indicated that the team has stepped up in talks with the Tampa Bay Rays about starting pitching. 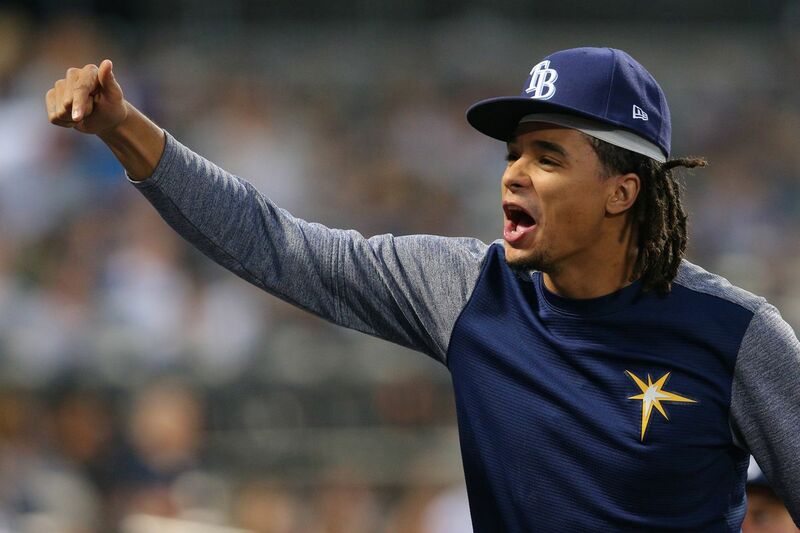 There was no specific talk about Chris Archer, though we do know that the Rays have shopped him around the league. It is no secret that they would entertain offers for their ace, but is any team willing to pay the hefty price tag? Archer is signed to an extremely friendly team deal. He will be paid $6.416 million in 2018, $7.66 million for 2019 and then has two options at $9 million for 2020 and $11 million in 2021. That’s a little over $34 million for four years of service time for a pitcher that will be 29-32 years of age during that time. An ace at that price tag is unheard of and the Rays are certainly in no rush to move him. For the Padres to obtain Archer, the price tag would be ridiculous. A proposed package would surely damage the Padres’ prized farm system immediately. The Padres have the talent to entice the Rays, but it really would not make sense at this point for the Friars. Archer’s contract is easily compared to what is owed on the rest of Christian Yelich‘s contract. The outfielder is due $42.75 million for four years and was recently dealt by the Marlins to the Brewers for a hefty price tag. Lewis Brinson is a top 20 talent in all of minor league baseball. Dealing Brinson for Yelich is equal to moving Mackenzie Gore or Fernando Tatis Jr for Archer. Not very appealing for Padre fans. Of course the Padres could package decent players other than Tatis or Gore, but moving a package of prospects like Adrian Morejon and Michael Baez seems very risky for Archer. At this point, the Padres might have to play it safe and wait til the time is right to strike. Here is the audio clip of the Duquette interview. There is no mention of Archer in the audio clip, but the speculation that the Padres are talking to the Rays could very well center around right-handed pitcher Jake Odorizzi. The Tampa Bay media has speculated many times that Odorizzi is the most likely trade asset for the team. There have been multiple reports of teams asking about the pitcher, but nothing solid has emerged. 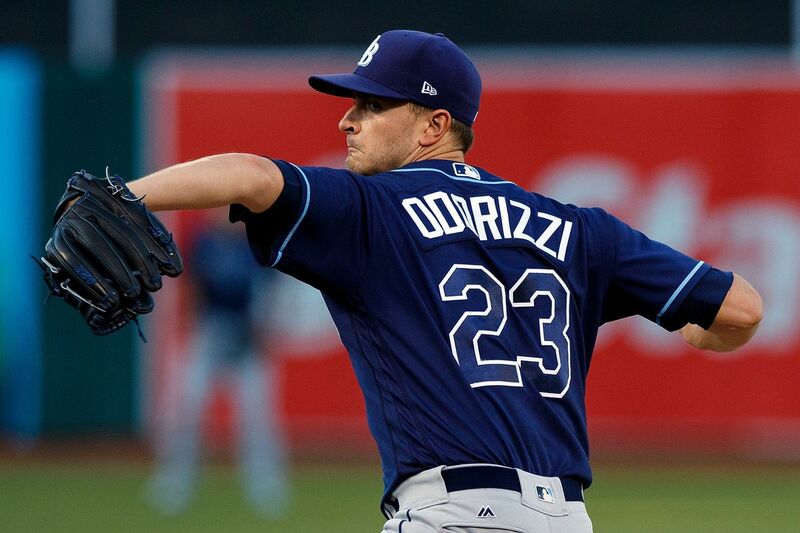 Odorizzi is 27 and owns a career 40-38 record with a 3.83 ERA and a 1.219 WHIP. He went 10-8 last season with a 4.14 ERA in 28 starts for the Rays. He recently won his arbitration case and will make a total of $6.3 million in 2018. The Rays are looking to move some payroll in a down year, and he could be attained at a relatively decent price. The pitcher is signed through 2019 and has two years of service time before free agency. The former first-round selection by the Milwaukee Brewers is a solid pitcher, but he has struggled to make it through a complete season without injury. Nothing serious as far as injuries go, but Odorizzi hasn’t thrown over 187 innings in a year. He did that in 2016, when he made 33 starts. Last season he battled a minor back injury and was also hit in the foot by a line drive, which limited him on the mound. He is a total Darren Balsley reclamation project and would probably have a career year away from the AL East. The National League West has a few pitcher’s parks that would arguably benefit this 6′ 2″ hurler. At the moment, the Rays rotation has Archer, Odorizzi, Blake Snell, Nathan Eovaldi, Jake Faria, Matt Andriese, and Brent Honeywell all competing for rotation spots. If Odorizzi was dealt, the Rays have someone waiting to take his spot. We will have to see if anything comes from this. Their is a feeling around ML Baseball that pitchers who come from the AL to the NL have better results. But Archer has been REAL AVERAGE over the last couple of years. Fangraphs has him projected at 4.4 WAR with 199 Innings, 3.50 ERA. He seems to be an issue in the Rays clubhouse also. He has never won over 12 games in a season and just two years ago lost 19 games. He has been an All Star twice but had losing seasons both times. He seems to pitch well at home in Trop Field but struggles elsewhere. He seems like a player that the Rays are overvaluing and would be an average pitcher who just eats innings. The Padres seem focused on mediocrity AND OVERPAYING for average-ish at best players.